Here is a funny picture about Jennifer Lawrence at the 2013 Oscars. 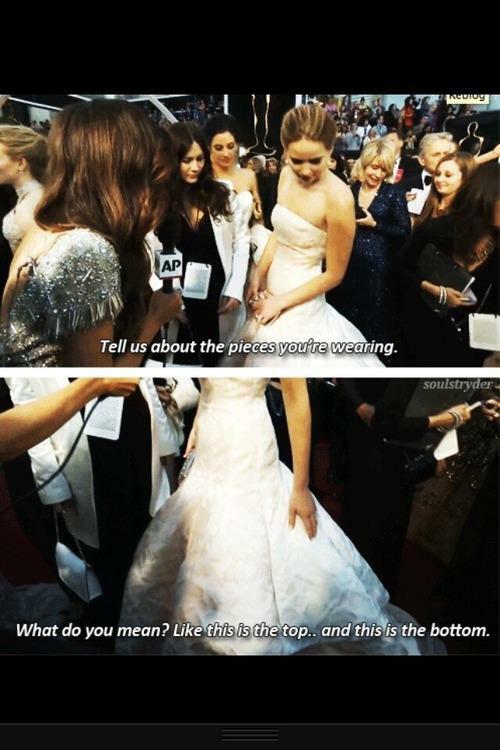 She doesn't know what to say when she is asked about her dress. Enjoy.